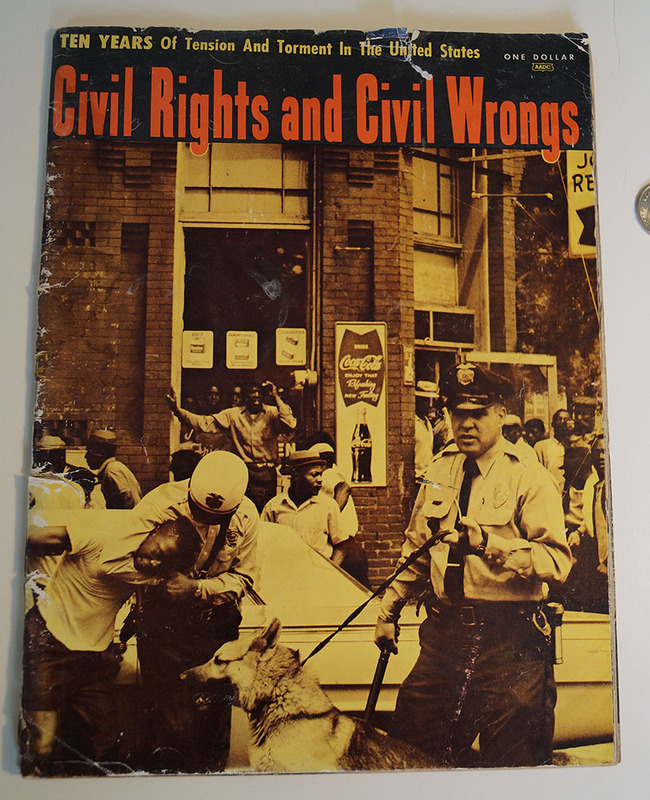 Published in 1964, this is a large 95-page booklet covering the Civil Rights Movement from 1957-1964. 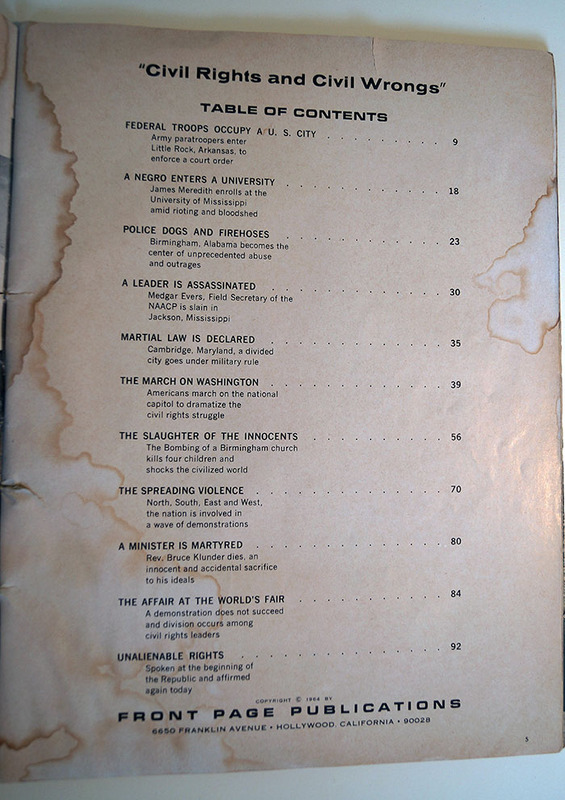 Full of photos, this book covers the Civil Rights Movement from Little Rock (1957) to the Protest at the World’s Fair (1964). Photo shows that the booklet has water damage.